Managing your Facebook Ads budget could become a lot easier in the near future. 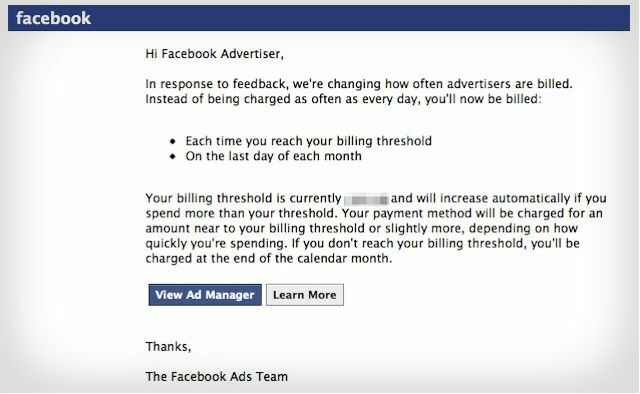 Facebook confirmed this week that it is testing changes to billing for a select group of advertisers. First spotted by Andrea Warner of SEO Brainstrust, test participants will now be billed each time their billing threshold is reached or on the last day of each month, whichever comes first. Currently, advertisers are being billed as often as every day. According to the email sent by the social network, billing thresholds will increase automatically if met. The payment method on the account will be charged for an amount near the billing threshold or slight more, depending on how quickly you’re spending. 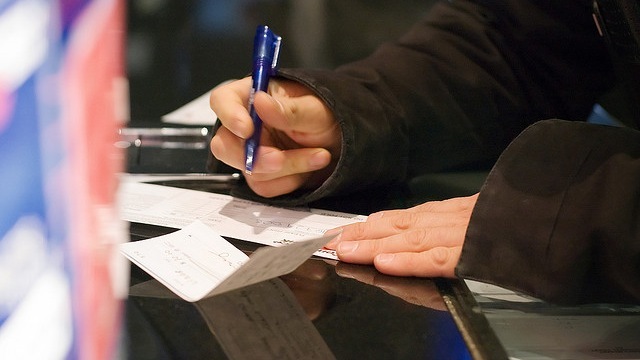 If a billing threshold is not met, the account will be charged at the end of the calendar month. Warner feels that this is a “welcome change,” and anyone managing their team’s ad spend will likely agree. As with all Facebook tests, there’s no guarantee that this will be rolled out universally, but it seems like it could be in advertisers’ best interest if it does. We’ll keep you updated if the company decides to make this a permanent feature.